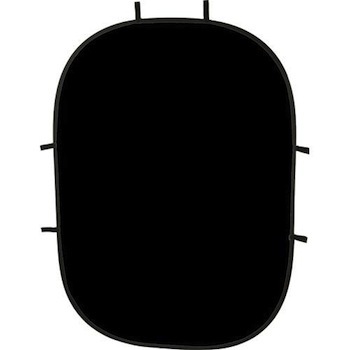 This Impact Collapsible Backdrop measures 5x7 and is a portable, easy to use backdrop for shooting objects that require a small, solid black background. Unfolds quickly and is ready-to-use in seconds. Note: A rental includes only the backdrop. If you need a backdrop stand please include it with your rental.